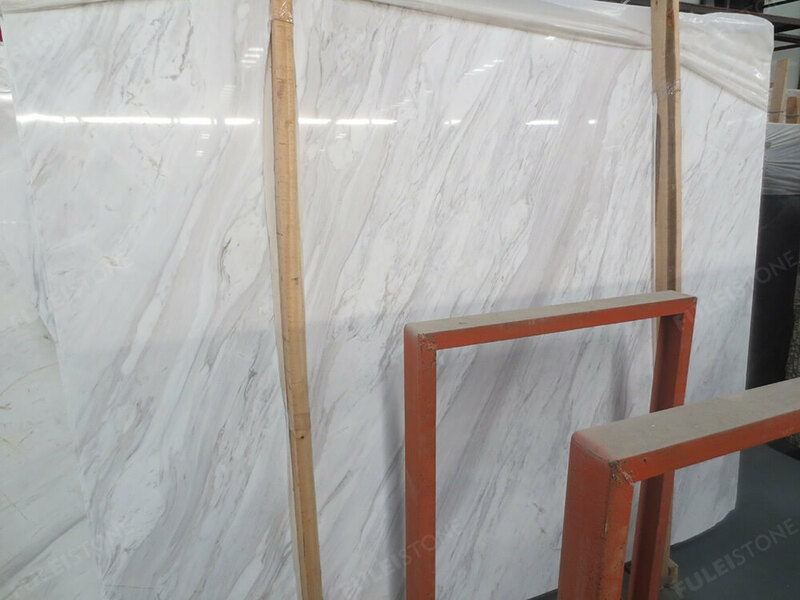 Polished Volakas White Marble Slabs are from Greece. 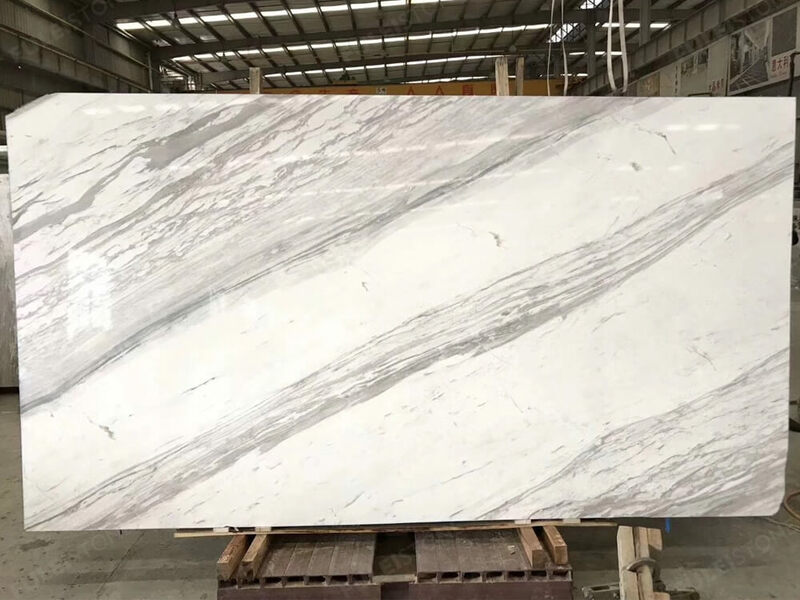 It is white marble with grey veins. Very hot sale in worldwide countries. Inventory slabs standard thicknesses are 1.5cm and 1.8cm. 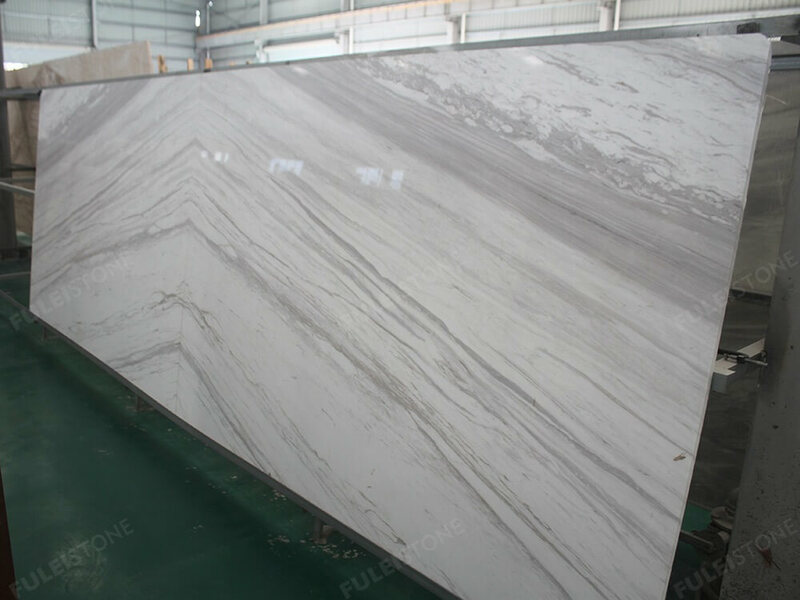 Normal slabs are bookmatch polished, it is very beautiful for flooring and wall cladding. This stone has original and new quarries. 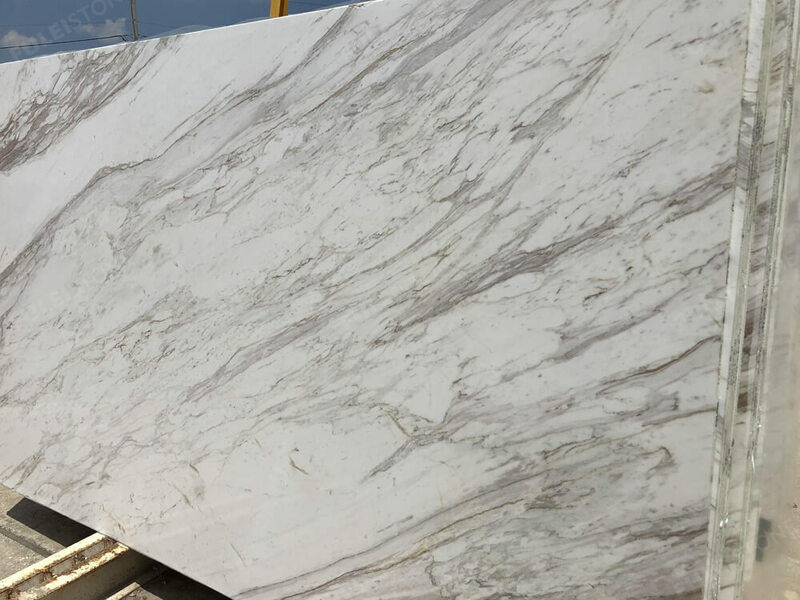 New quarry price is lower, but quality is not as good as original one. For other thickness like 2cm, 3cm, they are also available, we can cut at your request. Popular surface treatment is polished, but honed and leather face are also available. 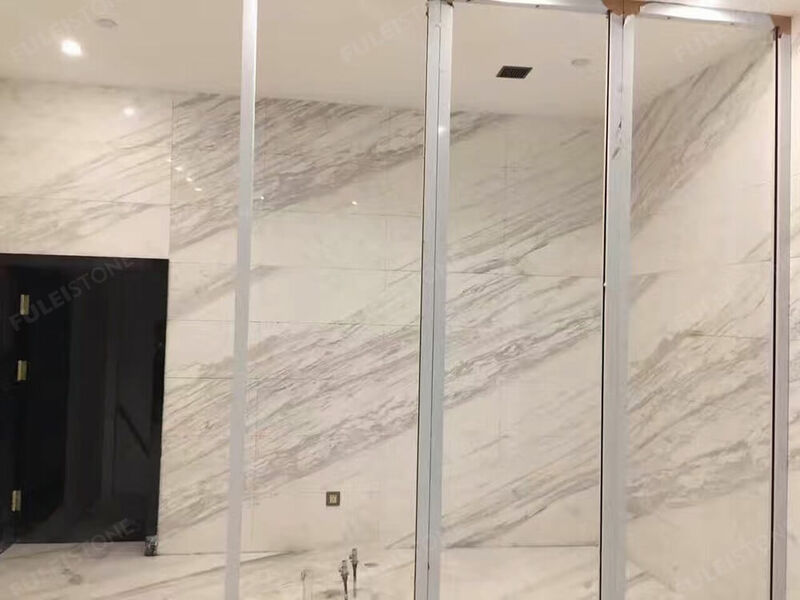 If you need this Volakas White Marble, please feel free to contact us.